Šolta Ferry Fun – a lovely photo of kids hanging on ferry ramp seconds after its departure. In the next few seconds, the kids would just simply let themselves fall in the sea. 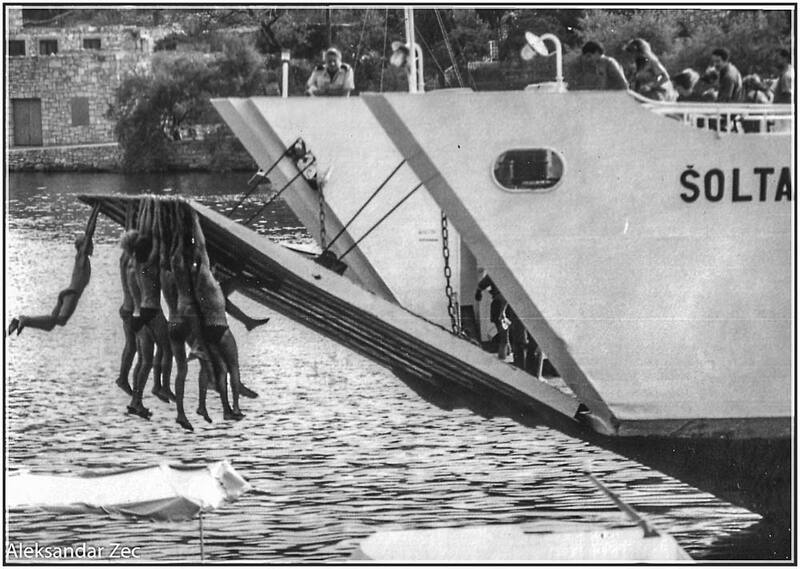 This kind of fun was quite common in 1960 and 1970 s around Croatian coast as ferry ports at the time were very small and close to local beaches so ferries would sail pretty slow minding local swimmers and sunbathers. Similar “hanging-and-jumping” fun was also common with water carrier ships (locally called “vodonosac“) that used to supply drinking water to Croatian islands before water pipelines were established in the area.